Did you know that eating a moderate amount of ghee daily (about 2 tablespoons) does not worsen your cholesterol levels according to any scientific study. In fact, many experts doubt there is a real link between eating lots of saturated fats and developing heart attacks (Mente 2009 Archive of Internal Medicine). When it comes to coronary heart disease, bad carbs seems to cause more of it than saturated fats, like the fats in ghee (Mozaffarian 2004 American Journal of Clinical Nutrition). 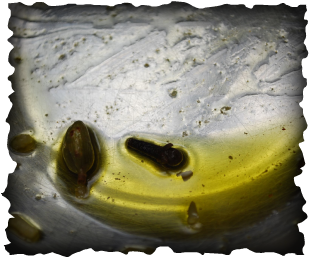 We all use cooking oils from plants and other fatty foods like ghee or butter for cooking and dressing foods. These foods provide us with most of our dietary fats. In general, you can use ghee or coconut oil (also high in the saturated fat lauric acid, which is considered a good fat) when cooking at medium heat. Canola oil, which is dense in monounsaturated fats, is also ideal for cooking. Olive oil is better for dressing food.